Time to announce the winner of the October Image Competition! It’s the year 2122, humanity has spilled out across the galaxy, colonizing worlds far beyond the edges of the solar system. The progression of humanity is aided by intrepid science firms such as Black Mesa, Aperture, Mullen, and….the infamous Charon Labs. Built on the principles of “breaking barriers that weren’t meant to be broken”, Charon Labs Incorporated constantly churns out the most high-end, ground breaking, and utterly insane products that have ever graced the galaxy. Their lack of ethics makes them perfect for pushing the limits, their lack of regard for the law lets them go where no man has gone before (or should have gone), their utter insanity provides them with a constant excuse for their wrongdoing. In addition to their research and development, they also conduct a litany of illicit operations, such as illegal mining, selling and trading with aliens and trans-dimensional beings, among other things…. 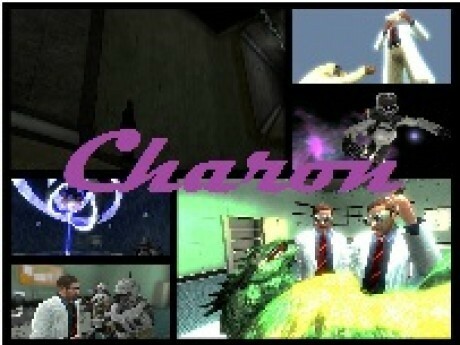 See Charon’s homepage & the full game description here.